At first sight it may seem that every gamer has a unique strategy for playing at slot machines. While trustworthy sources of information confirm that none of the existing slot machines strategies really work, one can obey 2 golden rules of playing at slot machines: thoroughly handle with your slots bankroll and keep in mind the payback percentage available within the slot game. There are so many facts against gamblers: the casino house edge, low odds of gaining a slot machine jackpot and many other obstacles that inevitably will disturb every slot player in the long run. What is really necessary to undertake is to apply particular slot machine tactics that will help to maximize the pleasure of playing slots and nullify the potential risks. Concentrate on on maximizing own payout percentage and set loss limits that will prevent you from serious financial damage. Also it is crucially important to make use of various comps and bonuses presented by betting houses. Never approach slot machines if you cannot afford it. Do not expect to be the winner after every slot game round. Remember that gambling house has a fixed mathematical advantage over you. Decide on the amount of money you are ready to spend to enjoy gambling at slot machines. Never overcome to limits you have established. Never use a credit card or other financial sources in order to get extra cash and play longer. Do not try to get back what you have lost - otherwise you risk staying penniless. Be reasonable and play it cool. The above listed instructions will protect your money from being wasted in vain. Do your best to respect and obey them and you will definitely succeed. Slots payout rate is another serious issue to be reviewed. It may alter from one casino to another. Thus before playing certain slot game you should read the pay table and specify all important details. The average slots payback percentage may range from 75% to 98%. 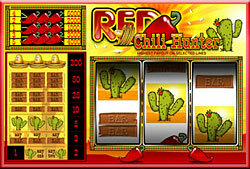 It is identified by the law regulating gambling in certain region, country or state. It is quite important to avoid slot machines in the airports, motels and bars because their payback is quite low and may amount to 80% or even much less.